A former Downing Street adviser has launched a project in Scotland to help the partners of military personnel use their skills and set up businesses. Sarah Stone, whose husband serves in the army, says the perception that military wives ‘sit around baking cakes’ is out of date and a waste of their talent. “It’s currently virtually impossible to maintain a career and hold down a ‘normal’ 9-5 job if you’re married to someone in the military,” she explains. “There are thousands of highly-skilled, qualified military spouses and partners all over the country who want to work, but can’t. “There’s this idea that we sit around baking cakes and singing in choirs, which is completely out of date,. Mrs Stone, an adviser to former Prime Minister David Cameron, has joined forces with other working military wives to set up a pilot co-working space at the Leuchars army base in Fife. The project has been inspired by the Scottish Government’s ‘Can Do Places’ initiative. This aims to help regenerate urban and rural communities by turning redundant buildings into places for entrepreneurial activity. 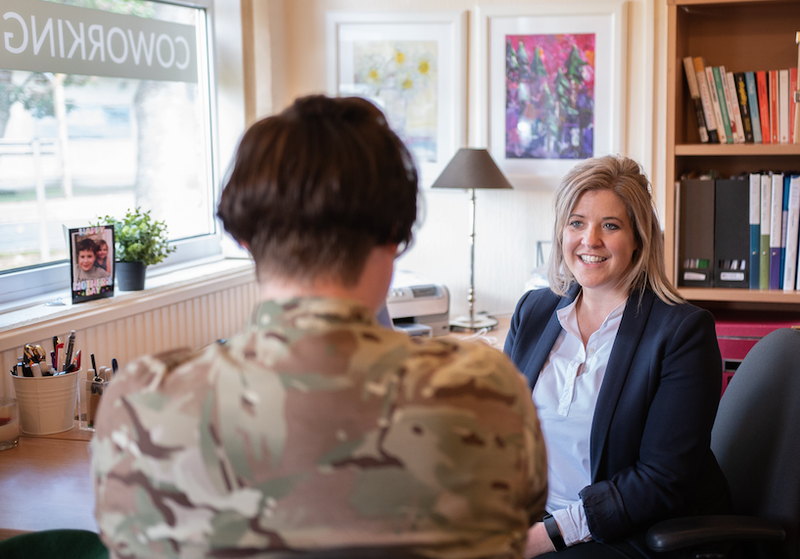 Mrs Stone and some other military wives initially opened the Leuchars co-working space as a small pilot scheme in September 2017. “The response has been fantastic,” she says. “We’ve started businesses, got people onto training courses and helped others find work and learn new skills. In a poll of 2,000 military spouses, Stone found that almost 60% wanted to use their existing skills and talents to start a business – but only 14% were already working for themselves.